We fix the small stuff for free. Simply attend the walk-through portion of the inspection, and if you are not completely satisfied at the end of the inspection, not only will we refund/waive our inspection fee (100%), we will also pay for another certified inspector of your choice (100%)... We are so confident in what we do that we are willing to back it up... 200%. We'll Buy Your Home Back Guarantee. If we miss anything, we'll buy your house back. Worry Free Purchase Power: You won't need it (because we're really great at what we do) but we know peace of mind is everything sometimes. 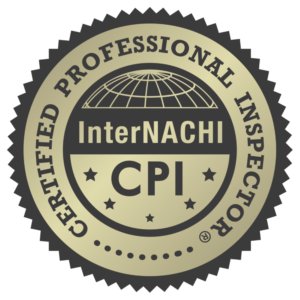 Our Certified Professional Home Inspectors have years of experience in construction prior to becoming a InterNACHI Certified Professional Inspectors at Vigilant. We've worked on, managed, and inspected homes built in every decade since the early-1800s. We've seen it before. For your convenience, contact us to schedule your Home, Radon & Pest inspections. Pest Inspections are contracted out. Eastern Iowa's Creative Corridor: Our service area is (roughly) from Waverly to Washington and Williamsburg to the Quad Cities, Dubuque, and all the lovely cities & towns not listed, within (about) a 90 mile radius of Cedar Rapids.